keep on track! 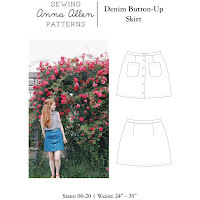 | Anna Allen Clothing Blog: keep on track! Recently I've come across some helpful tips from others who have successful small businesses. Starting your own business has never been bigger than now. You can find so much information on the web. For me being a one-woman business, it can be hard to stay encouraged and continue working even when I don't feel like it. When this happens, what really helps me get through these times is reading "success stories" from others out there, especially women. Or even just reading tips on how to be a better business woman. I never thought I'd actually be interested in the business aspect (creating things is WAY more fun than thinking about running a successful business) but it's a huge part of staying afloat. My mind is constantly in a whirl trying to think about all the different things I need to keep up with. It's not just keeping up with production (though this is vital and one I slip up on much too often), it's also keeping good records and paying quarterly estimates on time. Ahhh...so much to think about! Now to get to the point of all this... I wanted to put together a list of some places on the web where I have been encouraged. This way I can go back here and be encouraged when there's no one around to tell me to keep at it. This list will probably grow as I find more links. If you know of any good ones, feel free to share them! Thanks Anna for the suggestions you have here! I have just started my own shop on etsy and like you, I've always got things I want to do, but never enough time. 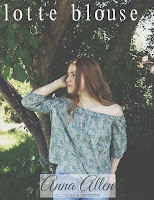 Your blog is wonderful as is The Graceful Lady website. I frequent them as I am a living historian, too. I enjoy your pictures and comments on your projects. Sounds a lot like my life, too! Thanks again and have a great day! So i have a question?!? Would you ever consider making a custom camera bag/messenger bag? and if so do you have any idea on your prices? I have been looking for a camera bag that is cute but durable for when I travel to Africa this summer?!?! Let me know. ::glad you found the links helpful, Lindsey! good luck with your etsy shop! i'm sure it will be very successful. you're a very creative woman! ::hey Caitlyn! i am pretty swamped with projects at the moment, so i'm not sure i'll have the time to make the bag, but thank you for asking!! have you looked on etsy.com? there are tons of awesome bags on that site. i could spend hours just pouring over them all. i'm sure there would be something that would fit your needs. :) have fun in Africa!! Thanks for the links. I especially like the Design for Mankind dialouges.